Extent: Renovation of high brick work, roofing and entrance; clean-up of all exterior and interior. Awards: Georgian Group Awards – Highly Commended 2017. 44 Long Street is a historically and architecturally important building occupying a prominent position within the principal street of this small Gloucester-shire town. The principal frontage is a handsome composition of double hung, bar divided sash windows set within an ashlar facade with a detailed modillioned cornice, string courses and a fine freestanding ionic, pedimented porch. The sash windows are of an early to mid-eighteenth-century type with heavy ovolo section glazing bars and some signs of original crown glass. This front range is attached to an earlier late 16th or early 17th century wing which is in separate ownership. This project rationalised this divided ownership and the internal circulation to the eighteenth century, front range. 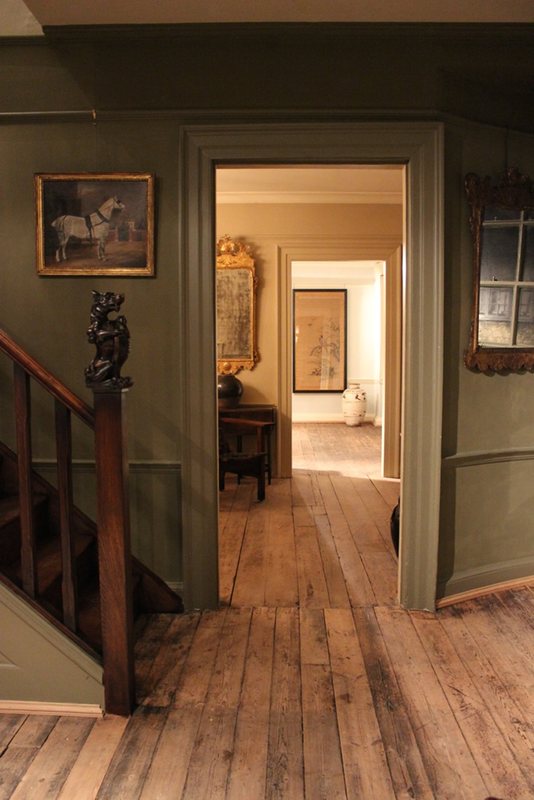 The existing stair is a wide, fine eighteenth century staircase with barley sugar turned balusters, a frog back handrail and column newels. The base of the handrail at ground level terminates in a scroll with grouped balusters. This stair is integral to the plaster mouldings to the cornice and ceiling rose at first floor level. The second floor, with its lower ceilings, poorer quality glass and lack of architectural mouldings would have been originally housed servant’s accommodation. It was decided that the new stair, if designed as a separate ‘servants’ stair’ could be built without affecting the setting of the principal stair. This new staircase is housed in the first-floor side room, an asymmetrical room without a detailed cornice where the position of the principal floor beam allows this insertion without major alteration. The proposed stair therefore has less impact than a continuation of the main stair and little loss of historic building fabric. The works to the building also included a number of repairs to the fabric including the front entrance porch which had signs of structural movement, possibly impact damage.